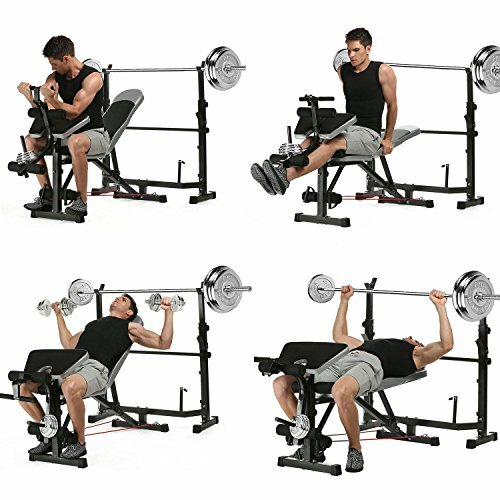 660lbs Multi-Function Olympic Weight Bench, Adjustable Fitness Workout Bench and Barbell Rack Set with Preacher Curl, Leg Developer for Gym Home Office [US Stock] by Garain at Strongman Pictures. Hurry! Limited time offer. Offer valid only while supplies last. More Information: 1. The backrest can be adjusted 6 adjustment levels.Offer different incline settings allowing you to do various workouts. 2. 1. The backrest can be adjusted 6 adjustment levels.Offer different incline settings allowing you to do various workouts. 3. Height adjustable and folded design brings more convenience to your exercising. 4. Ideal for your power training exercising at your home or in the gym.